Engine: The single cylinder liquid cooled, 4 valves, fuel injection, 247 c.c. engine delivers 25 bhp/8500 rpm and 2 kgm / 6700 rpm (14.5 lbs ft) torque, claimed figures. Actually the sound of the engine and the torque provided, remind that this is a 250 c.c. bike. The feather-light clutch and gearbox are impressing. Especially when downshifting the gearbox is so light that the rider cannot really tell if he has selected neutral! Fortunately there is an indication for that purpose! The 250 c.c. engine has the difficult task to propel a bike which weighs almost 200 kg wet, which makes performance milder than expected. Otherwise speaking no one will buy the VL to ride fast. Thus under full throttle acceleration the Daelim reaches fast the speed of 60 km/h (37 mph), relatively fast 80 km/h (50 mph) while the top speed of 140 km/h (87 mph) indicated figure is achieved slowly and it varies considerably according to the inclination of the road. The bike is not equipped with an rpm meter. On everyday riding the engine is adequate given the character of the bike, eg in the case of urban-suburban use, even short trips. An indicative average fuel consumption figure is 3.6 l/100 km, (78.5 mpg Imperial). Riding position: The saddle is relatively low given the bike’s character, even short riders will step confidently on the road. It’s not one of the lowest saddles out there if that is important. Rider is placed in the bike, the riding position is laid back, the handlebar is high while the footpegs are attached at the very front, coinciding with the requirements of this bike category. The bike is slim, the height of the bike is low, it’s only the length of the VL which is increased. The weight is 178 kg (392 lbs) nominal dry which is substantial for this engine capacity. The pillion is seated slightly higher than the rider, the saddle is very narrow yet soft, the knees form an inconvenient angle since the footpegs are placed high, while she/he may hold herself/himself by the chromed inserts which are not designed for this purpose though as they are relatively sharp. Hence the pillion will not be very pleased. An aftermarket sissy bar seems rather essential. On the road: There are twin shocks at the rear which are adjustable for spring preload. The fork feels soft whilst the shocks provide a relatively soft feeling. The OE tyres are Swallow with dimensions 90/90-18 at the front and 130/90-15 at the rear. They are considered a moderate choice in terms of handling. In town the VL 250 is an honest, good bike with nice styling which provides decent riding and build quality. Despite the long wheelbase, agility is not an issue. Certainly a sound deriving from a larger V2 engine would be nice, although one cannot have it all, at least in this life! On downtown rides there will be some compromises asked especially due to the length of the bike for such a terrene. In case of commuting and especially concerning female riders, the weight of the bike could be an issue, whilst a short rider could find it difficult to stretch the legs to the front and then step on the road very frequently. At the process of filtering the handlebar is slightly taller than car mirrors and lower than SUV mirrors. Thus there isn’t any problem for the rider. Street imperfections are absorbed very well given the bike category, which is average compared to the normal bike standards. Thus the back of the rider will feel the large imperfections, whilst the rider cannot support any of his weight due to position of the footpegs. On everyday rides the comfort provided is an advantage for the VL compared to the competition, rider cannot believe that a low-cost Korean bike provides such a comfort! The tall mirrors provide decent rear view on downtown rides. On B-roads the agility of the bike is average for this bike category. Compared to the street bikes this level of agility is inferior although it will not result to an issue, even on a series of bends. The stability and confidence to the rider during cornering are very good, this Daelim provides the riding of larger bikes in this category, despite that the tyres are not top shelf options. On the straights the bike is very stable even close to the top speed. Daelim’s focus on road handling is evident which will fulfill the requirements of any rider, even if someone wants to ride close to the bike’s limits which are defined solely by the engine performance. Due to the character of the bike, the Daelim will not oppose short trips with the speed of 100 km/h (62 mph). On the dirt, rider will not feel the required confidence except on straight and flat roads since the footpegs are stretched to the front, so that the rider cannot step instantly on the ground. Ground clearance is the second issue to think about, which is also common on this bike category. There are two rotors at the front and one at the rear, two piston calipers are used in both cases. 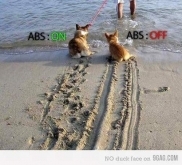 The brakes are not equipped with an ABS. The power of the brakes and the initial bite provided are very good, whilst feedback to the rider is relatively good, front and rear. In case of emergency braking the diving of the fork is extensive. The rear wheel may lock on poor road surfaces and it tends to slide to the right in a case like that. Eventually the brakes are close to ideal and they will be very helpful to the rider on any instance. If smarter tyres are fitted, braking could get even more effective. Comments: The grab rail at the rear left of the bike is handy to place the bike on the main stand. The indicative lights on the fuel tank together with the fuel level indications are familiar on this bike category. Τhe color of the bike is also indicative of the build quality since the two colors οf the bike are separated by a blue stripe. The white backlight on the dial as well as the red color of the needle are also qualitative. The chromed parts of the bike are nicely combined with a LED tail light. The only real drawback of this bike is the footpegs which are located far to the front, in the case of short riders. They do not really coincide with the urban character of the bike, although they do amplify those cruiser looks. For the time being there isn’t any option of factory fitted, proper footpegs. This bike defers from the bigger and more renowned motorcycles of the category only in terms of the engine. After the ride, the VL gives the impression that even a twin cylinder 500 c.c. engine could have been equipped, boosting that character. -	The footpegs are stretched to the front, there isn’t any option for normal ones. I just got this bike. It is a good entry level cruiser with moderate speed, handling and very good fuel consumptions. The drawback is the sound of the bike. Yea it is a single cylinder engine. Plus hard to get accessories, such as engine guard bar/highway bar, windshield. Have to try up universal kits. Will use this bike as a daily commuting transport and see how far it can go. U are right...i just bought..i can feel all tat...nodi pls...grab it..